The 6th Sense is actually 3 senses rolled into one: Intuition, Inspiration and Imagination. We all need our 6th Sense to be working well these days, which is why I am making one of a kind art dolls in honor of our Sixth Sense. 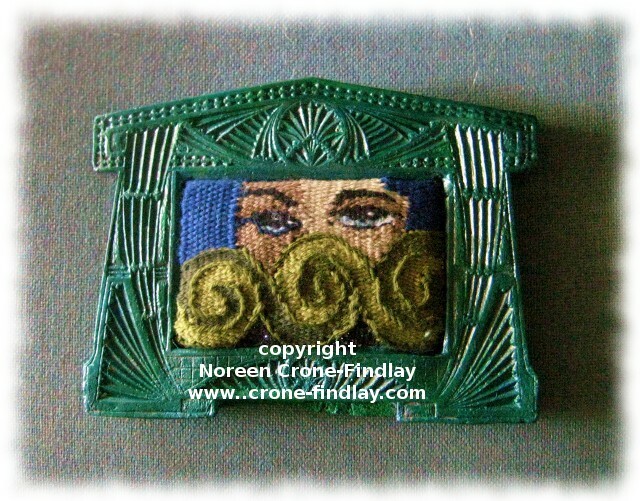 The copper wire behind the wire star on her forehead was woven on the potholder loom. Her face and hands are wooden. 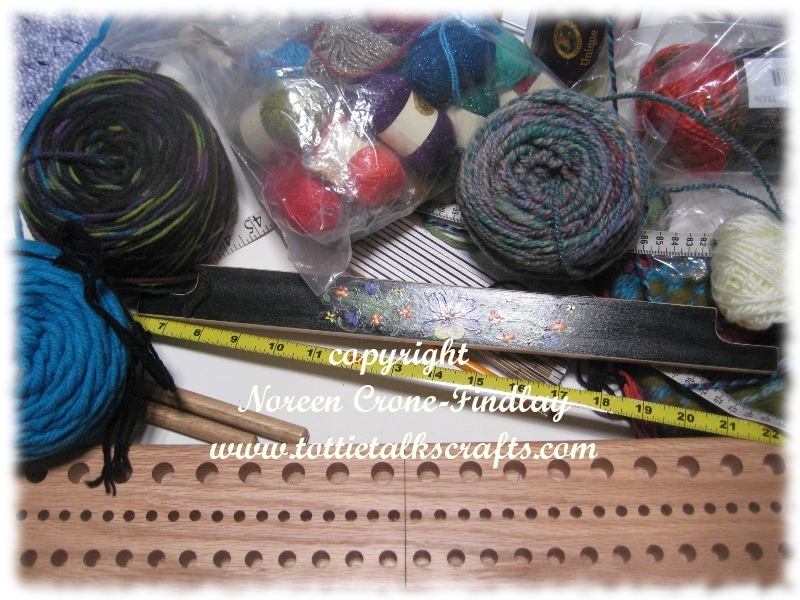 I wove the fabric for her on 3 small looms: Inkle, 4 harness Structo, and potholder loom. The butterfly wings and dragonfly on the front are symbolic of transformation. She is 16 inches/42 cm tall by 7 1/2 inches/19 cm wide by 3 1/2 inches/9 cm thick at the base, tapering up to 1 1/2 inches /4 cm thick at the top. Last week, my daughter and I opened the very old small suitcase that I use to store my vintage hankie collection. We were looking for the perfect hankie to make a dress for the little wooden doll that I had carved for her. 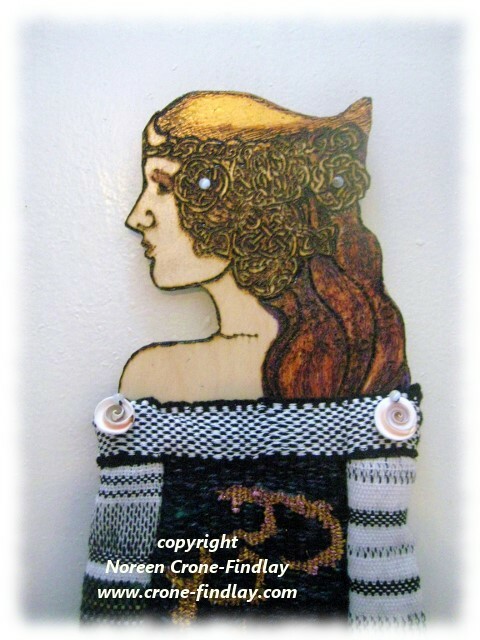 Miranda, the Mermaid that I carved last year, has been feeling the sudden onset of cold weather. I overheard her complaining about the cold to Bessie Gnome, Coco, Thallie and the dogs about the cold. As a Mermaid, Miranda doesn’t mind cold water, but the dry cold that she is experiencing feels very uncomfortable. Lettie is now a cozy bunny, and tickled pink about it. She feels that she can face winter in the Wall Doll House without a shiver. Lettie spotted a tiny elegant silk hankie that she was sure would make Peggetty very happy. Peggetty, Lettie and Miranda are all very content with their new wraps, and are so grateful that a friend blessed us with her mother and grandmother’s hankies! 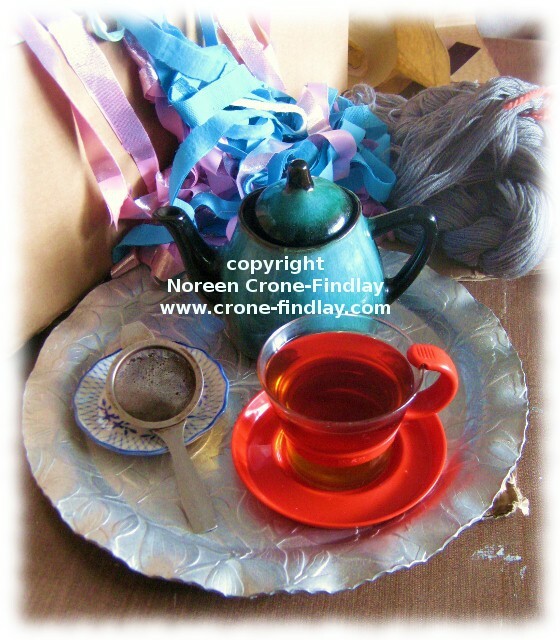 No matter how busy I am, (and I am wildly busy right now, with stiff deadlines) I still take time to have a lovely cuppa tea. It makes me feel deeply contented! For me, the very best part of January for the last few years has been the breathtakingly wonderful concert produced by Cam Neufeld and Marianne Watchel. 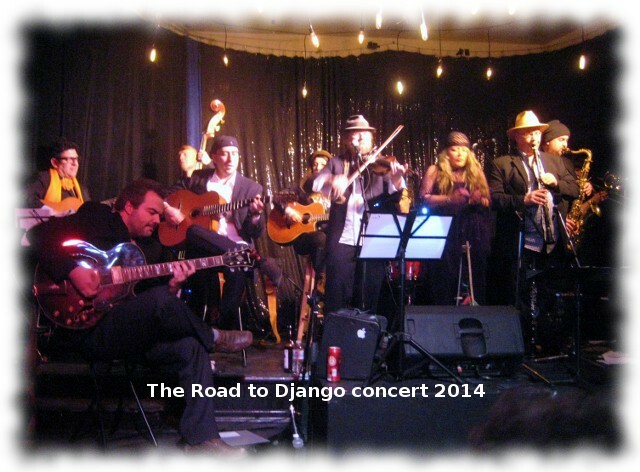 The concert is called: The Road to Django, and it chronicles Cam’s journey from India, through the Balkans to Paris for the celebration of Django Reinhardt’s 100th birthday. It begins with Cam playing a handmade violin like instrument from India. Cam explored the history and movement of Gypsy/Roma music through Asia and Europe, writing music and studying with musicians and teachers as he went. 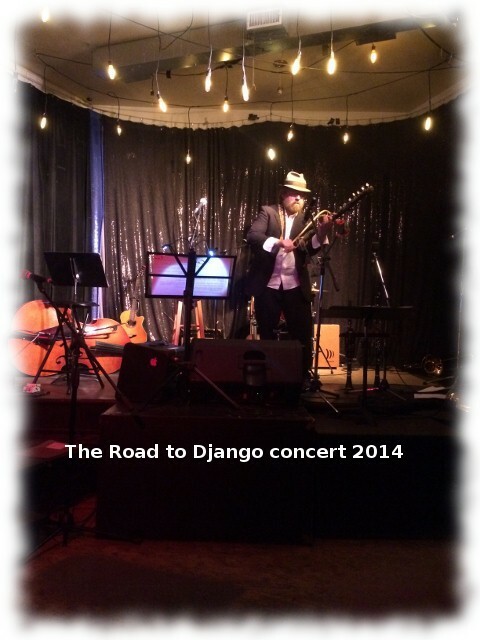 He then came home to Edmonton, Alberta, Canada, and asked a group of his friends to create a magical series of concerts that bring to life the music of the Roma, including some Flamenco (which is one of the great passions of my husband, guitar master and composer, Jim Findlay). 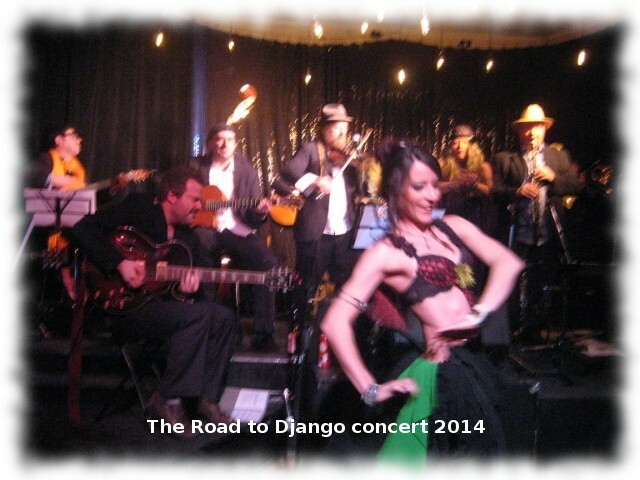 The concert ends with a spectacular explosion of Django’s swing and Hot Club Paris music. Holy smoke would be an appropriate response. 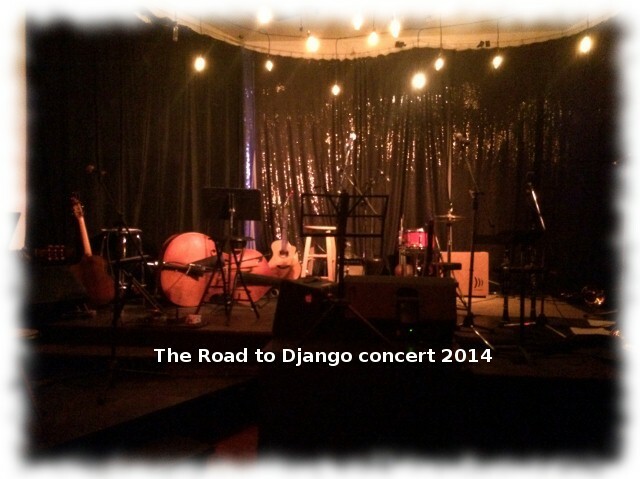 I was riveted by the spectacle of the 12 musicians, at the end of 3 1/2 hours of intense performance catapulting through Django’s breakneck tempos. Holy smoke! They gave every molecule of their beings to the music and the audience exploded into cheers…….. wowsa. Holy smoke….. The level of intensity of the music is incredible, and the audience is transfixed! Lisi Sommer has the voice and presence of a Goddess, and I took a whole bunch of photos of her singing, so I can work on drawings of them later. I was amazed and delighted when the slight glitter in the backdrop translated itself into what looks like musical notes around her… isn’t that the neatest thing? Raquel, a beautiful dancer from Spain performed belly dance, and then Flamenco. Her charisma, grace and beauty were a gift to the audience. 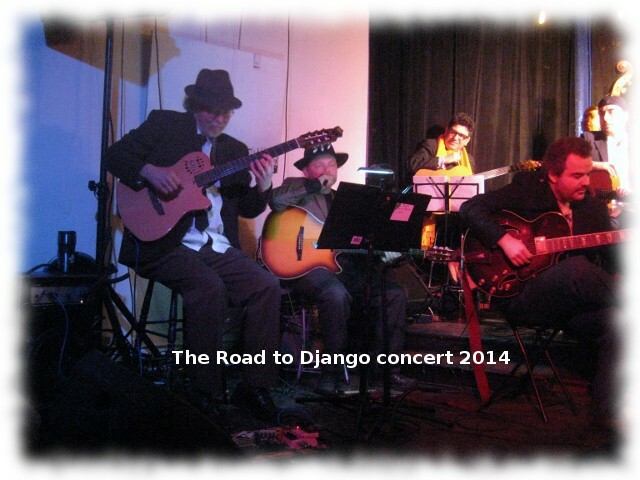 This video is the group of 12 musicians (Jim is the gorgeous greybeard in black hat and jacket with the Godin guitar on the far left of the stage) playing one of Jim’s compositions, “I See”, at the Road to Django concert on Jan 26 2014. Cam and Jim have given me permission to upload this piece to YouTube. Because it’s taken with my tiny old video camera, it doesn’t do justice to the magnificence of the music and the astonishing virtuosity of 12 gifted, beautiful musicians, but I really wanted to share even this small glimpse of the glory of the concert. 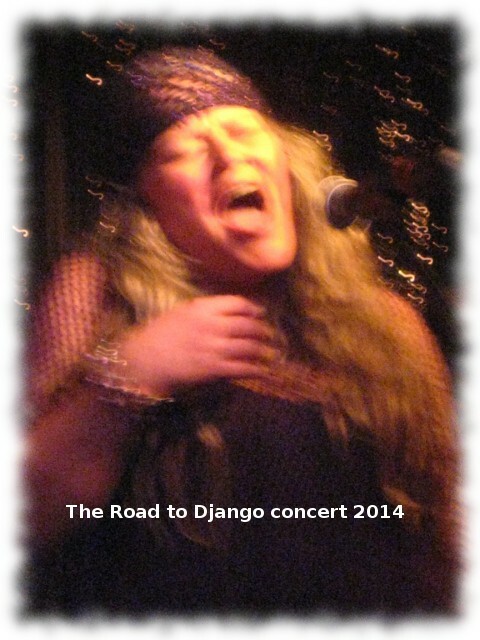 This was an evening that made me feel blessed beyond measure and awestruck by the beauty and power of music. 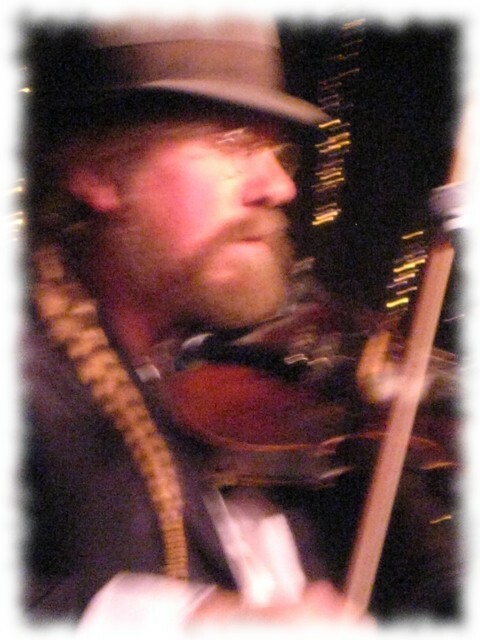 Thank you, thank you to the musicians, and especially to our dear friend, Cam!